especially to Cape May and to Barnegat Light. She will be remembered as a foodie and loved sampling baked goods from her favorite bakeries. She will also be remembered for her sense of humor. She has been described as having the excitement of a child as it comes to living her life. She was a friend to many but most importantly a mother to her six children, who she loved from the second they were born until the moment she passed away. 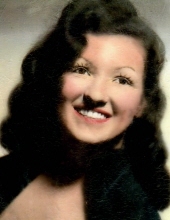 She is predeceased by her son, John J. D’Augustine; her father, John D’Augustine and mother Elizabeth Rysdyk; her grandmother, Bridgett V. Doherty; her uncle, John L. Rysdyk; and her friend, Carol J. Holdzkom. She is survived by her children, Frank R. Grottola, III, Michael V. D’Augustine, Gary P. Grottola, Leonard Grottola, Veronica L. Mancuso and James E. Grottola; her uncle, Edward Rysdyk; her grandchildren, Anthony K. Burgess, Gary Grottola, Jr. and Alicia Grottola; and her many great-grandchildren. Visitation will be 11AM to 12PM at Parsels Funeral Home, 324 New Jersey Ave., Absecon on Wednesday, November 21, 2018. A service will follow immediately at 12PM. In lieu of flowers, contributions may be made to the Atlantic County Humane Society, 1401 Absecon Blvd., Atlantic City, NJ 08401 or the Community Food Bank of Southern New Jersey, 6735 Black Horse Pike, Egg Harbor Twp., NJ 08234. For online condolences, please visit www.parselsfh.com. To send flowers or a remembrance gift to the family of Joan V. D'Augustine, please visit our Tribute Store. "Email Address" would like to share the life celebration of Joan V. D'Augustine. Click on the "link" to go to share a favorite memory or leave a condolence message for the family.